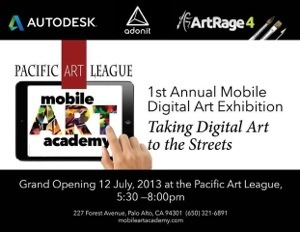 I am very excited about being part of Pacific Art League and The Mobile Art Academy’s 1st Annual Mobile Digital Art Exhibition in Palo Alto, California. My artwork was 1 of 50 chosen in this juried exhibit from over 200 pieces that were submitted. You can see the other winners on the Mobile Art Academy’s site here. 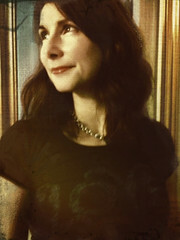 You can also read more about the background of the show in the Palo Alto Weekly. The grand opening is July 12th and it will run until July 31st.